Why is race here? Why do we continue to allow it to be the cornerstone of our identity, investing who we are and will be into this social category, placing our children in its boxes? What gives it membership and belonging? Why does race have such power over us and presence within our society? Persons have tried to explain the existence of race over time through science, Scripture and skin; but the truth is that we made it up. Most scholars agree that race is a “folk idea” and a recent invention. 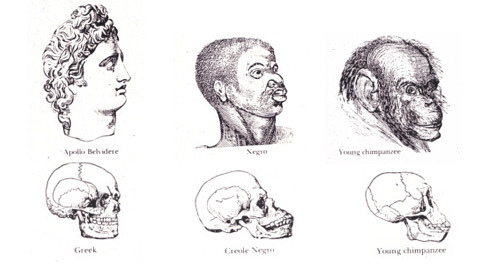 No, race is not biological or biblical. We are not born racial beings and race was not in the beginning with God. Race is a social construct. Race is a product of our thoughts; it’s origin is our mind. Race is here because of the way that we choose to think of human beings from other cultures. Race is here by the invitation of our imagination. We need only change our minds and race will disappear. So, why is race (still) here? Makes me wonder if race was invented in a deliberate attempt to create racism. I would think that it was, Glenn. Well, it sure is an odd ‘coincidence’ that a German guy (Johann Friedrich Blumenbach) invented race. Then a bunch of Germans and other White people use racial concepts to divide and oppress. On the other hand, anyone who invents something can have their (neutral) invention used for bad intent. It is an interesting theory, sir. I just want to stop the lie from spreading.